Driving to the coast to sit on a beach for a week. What could possibly go wrong? We'll see you when we get back--if we get back. 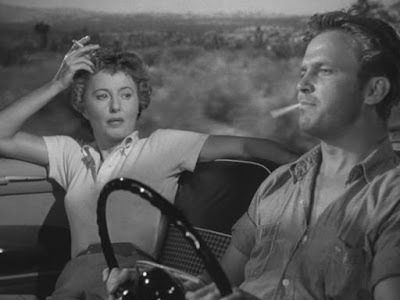 Barbara Stanwyck and Ralph Meeker in Jeopardy (John Sturges, 1953); Ann Savage and Tom Neal in Detour (Edgar G. Ulmer; 1945).